Headlines, hot news, and conversation starters on September 6, 2017! 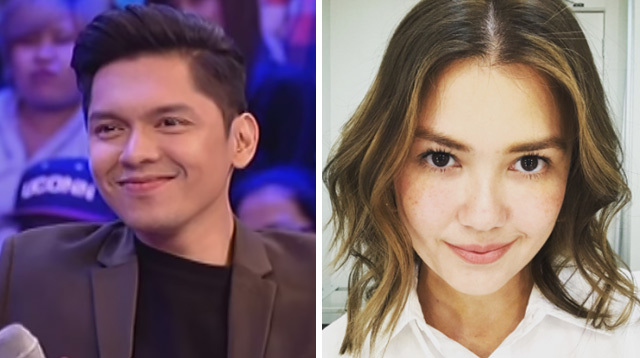 1 Vice Ganda asked Carlo Aquino about his past relationship with actress Angelica Panganiban in the August 4 episode of "Gandang Gabi Vice." Carlo confessed that if they weren’t so young when they got together, he would have ended up with Angelica. "Siguro kung medyo matanda-tanda kami noon, kami na talaga ang nagkatuluyan," Carlo revealed. "Matiyaga kasi 'yun eh," he added. Carlo and Angelica were together from 2000 to 2006. 2 Ellen Adarna and John Lloyd Cruz just shut down dating rumors. It all started when Ellen became a guest on JLC’s show Home Sweetie Home. She also posted a photo of them back in October 2016, referring herself as 'Basha,' John Lloyd’s love interest in the hit movie One More Chance. She clarified that they’re just friends. "Di pa rin ready si kuya. Marami rin 'yong drama sa buhay. Parang ako rin!" she said in an interview with The Philippine Star. 5 You can soon treat yourselves to H&M Beauty products, as this line will initially be available on September 15 at SM Megamall. The Swedish retailer promises to offer makeup in varying shades, eco-cert body care items, and high-quality beauty tools with affordable price tags. Other branches will also carry the range within the month.